Cliffe Okello, admired by many for his contribution to Kenya Hockey. Saidi Okwemba: He was like a brother to me. Senge: He was an easy going guy who was funny and easy to interact with. This is a sample of the sentiments poured in as the Kenya hockey fraternity comes to terms with the sudden death of Butali Sugar coach Cliffe Okello that occurred on Tuesday afternoon in Nairobi. The 42 year old Okello who hailed from Nyakach, Kisumu County, is described by his peers as a passionate man who had a winning mentality on the field and a master tactician off the field of play which illuminated his side to successive titles in 2014 and 2015. He had this straight stare which pierced into every situation. As a coach and player, Okello always stood out with his trademark black leather jacket, dark glasses raised above the forehead and hands crossed across his midsection. The face appeared serious and he was full of concentration. This was his way of giving it all, absorbing what was going on. But, behind that hard stare, Okello would crack jokes and afford a rare smile. As a player he was a fierce competitor for the ball and defended the goal ferociously. You could see him reading each movement and organizing the defense either with a stern gesture or gestures with his eyes on the ball. He never went for a half tackle throwing his body on the line. Kenya Police coach Ken Kaunda who always enjoyed a fierce rivalry with the late Okello said that he relishes the intensity he brought to the game both as a player and coach. “He was a dedicated player who was a natural leader on the field and gave his all during matches. He was good at analyzing game situations and overall a good coach. There was some rivalry between us on the touchline and that raised the stakes for the competition,” stated Kaunda. As a player, Okello along with Meshack Senge and Said Okwemba represented the then Kisumu Simba and were part of the second generation of players in the 1990’s. They featured in the revolution of the club as they took part in the All Africa Games and the Africa Cup of Nations. The trio was involved as they won the National League in 1995, 1996, 2002, 2004, 2007 and 2008. They also participated in the Africa Cup of Club Championship in 1996 and 2003 before a notable bronze medal scoop in 2009. Senge, who was called up to fill in for Okello as Butali Sugar coach for the 2016 Africa Cup of Club Championship was baffled by the his demise and will remember him as true fighter during their playing days. “I played with him at Kisumu Simba and also the national team where we fought many battles. He was aggressive on the field and we were close when it came to the team. He was an easy going guy who was funny and easy to interact with,” Senge said. 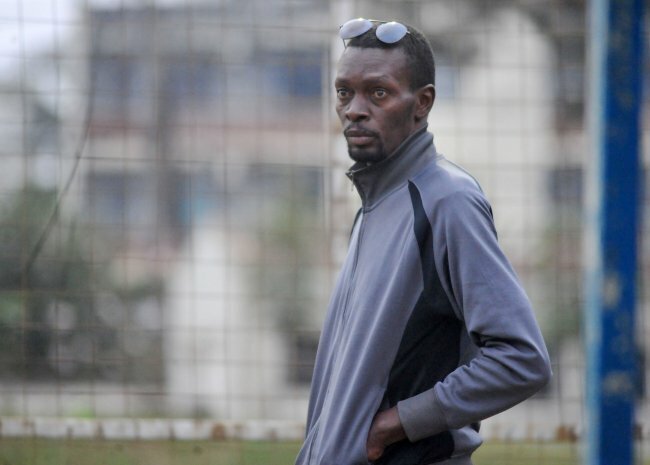 He cited the tough financial crisis that rocked the club in late 2008 that saw the club cash strapped and almost disbanded as one of the situations where Okello’s influence was massive. Okello who was the captain of the side urged the team to play on despite the setbacks they faced to overcome a torrid period for the club. Okwemba, a veteran defender for Butali Sugar is shocked at the development and praised the man commonly known as ‘Zorro’ by his peers who later encouraged him to play on after joining Kisumu Simba from his stint with the now defunct Armed Forces. “He was like a brother to me who I closely played with. He was a reliable teammate throughout the years and also gave his best for the team when he took over as coach. He will be missed dearly by us all. He was one of my best friends who always believed in me and inspired me to push on,” Okwemba said. Butali Sugar team manager Kamal Sembi was with Okello as part of the second generation group of players at Kisumu Simba. Other notable players were Senge, Ravindra Rupra, Billy Molla, Robert Amadi, Bramwel Lijodi and Paul Gumbe. Sembi described Okello as a hardworking and natural leader in his role as captain who could rally the team during games. A source who was close to the deceased said that he attended Kisumu Boys High School where he was a combative midfielder. By the time of his passing, Okello had led Butali Sugar against Strathmore University in the playoff final in December. Unfortunately, this was to be his last task as coach in the 0-3 penalty strokes loss and leaves a legacy that will be admired by many. ‘Zorro’ is expected to be laid to rest next week in his home area of Nyakach, Kisumu.